It’s been a painful process for the utility and its 200,000 members, who suffered under years of mismanagement. Elections for board members, supposed to occur annually, hadn’t been held since 2007. Frustrated members filed a lawsuit against the company for siphoning money from the utility then using the funds to invest in and profit from outside business ventures. The previous CEO, Dwight Brown, was forced to resign and was later indicted on several counts including racketeering, theft, and witness intimidation. Members deeply mistrusted the company. Nelson worked for Cobb EMC for 37 years, most recently serving as chief operations officer. 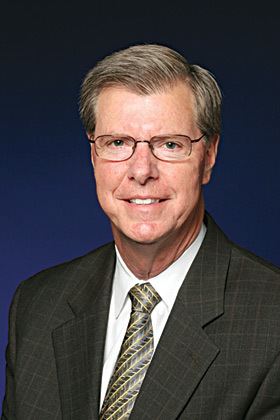 He stepped in as interim CEO in February 2010 and decided to apply for the full-time position. “I felt that it was a point in my life, a time in my life, where I needed to just step up to the plate and do all I can for this company – members and employees,” he says. Nelson is homegrown talent, having lived in Cobb County all his life. After grad-uating from Sprayberry High School, he went to work at Lockheed. After his second layoff in 1971, newly married Nelson decided going to college wouldn’t be a bad idea. “My next-door neighbor told me there was an opening at the electric co-op,” recalls Nelson. “I had to ask her what an electric co-op was.” He interviewed at Cobb EMC and was hired the same afternoon as a ground man on a construction crew. He worked during the day and attended Southern Polytechnic State University at night. Now Nelson is running the whole show, and his agenda is summed up in one word: transparency. “We are posting quarterly review financials,” he says. “We are promoting open board meetings, a decision the board has to make; we can’t make that decision. We’ve created a new policy called a financial management plan, and it gives us the ability to refund capital credits. Board elections were held in November, and Nelson is optimistic. Nelson says his ultimate goal is creating a culture of transparency in operations and governance, knowing full well he can’t please everyone.